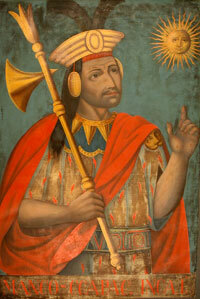 A portrait of Manco Ccapac, first Inca ruler. One of sixteen original portraits in strong primitive colors. ca. 1760, 17x24_ inches. Courtesy of Lilly Library, Indiana University. Used with permission. The Lilly Library is the rare books, manuscripts, and special collections library of Indiana University. With approximately 400,000 books, 7 million manuscripts, and 150,000 pieces of sheet music, the library's diverse collections are open to anyone interested in them. The Lilly Library book collections include strengths in American and British literature and history, 18th and 19th century children's literature, books printed before 1501, miniature books, early medical and scientific works, cookbooks, and popular sheet music. Highlights of the manuscript collections include the papers of Sylvia Plath, Upton Sinclair, Orson Welles, and John Ford, as well as numerous medieval and renaissance manuscripts. The Lilly Library, like other special collections libraries, is poised between the print and the digital worlds. Fundamentally, the Library exists to preserve and promote the use of the physical books and documents that are the primary materials of much of human history. That fact will not change, but more and more digital projects will help extend the capability of the Library to provide access to and promote the physical collections. Providing information about the collections and publicizing them to both casual visitors and scholars are the principal purposes of the Lilly Library web site. While some resources on the site provide detailed information, other digital collections provide only a taste of the great breadth and depth of the Library's collections. Alex Mullis, stave maker and shingle artist. Photograph by Frank M. Hohenberger. Date: 1927-03-11. Copyright Trustees of Indiana University. Used with permission. The web site's Collections page (http://www.indiana.edu/~liblilly/collections.shtml) lists the online resources that provide information about the Library's collections. Some are bread-and-butter databases which provide essential information about the books and manuscripts in the Library. Others offer more depth, such as the new Lilly Library Publications Online (http://www.indiana.edu/~liblilly/etexts/), which provides electronic transcriptions of Lilly Library exhibition catalogues and other publications, focusing particularly on those that are out-of-print. Among the catalogues now available are three describing the Library's exceptional Latin American collections and one focusing on the book collections of Ian Fleming, author of the James Bond tales. Online exhibitions (http://www.indiana.edu/~liblilly/exhibits.shtml#online) combine text and image to illustrate particular aspects of the Library's collections. The most visited online exhibition is America in Caricature, 1765-1865 (http://www.indiana.edu/~liblilly/cartoon/cartoons.html) which features images from the American War of Independence, the War of 1812, and the U.S. Civil War. Also notable in the month of February is the exhibition A Flowering of Affection: Victorian Valentine Cards at the Lilly Library (http://www.indiana.edu/~liblilly/valentines/valentine.html). 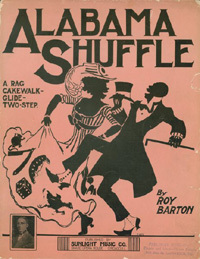 Alabama Shuffle, composed by Roy Barton. Chicago: Sunlight Music Co., 1910. From the Sam DeVincent Collection of American Sheet Music. The Lilly Library is fortunate to be a partner with IU's nationally-known Digital Library Program in numerous projects. The first project brought the Frank M. Hohenberger Photograph Collection (http://www.dlib.indiana.edu/collections/lilly/hohenberger/) online. 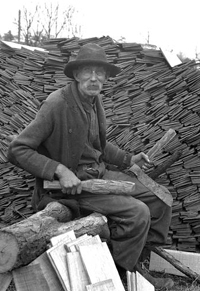 Hohenberger documented the life, customs, and scenes of the hills of Brown County, Indiana, from 1917 to 1963. A more recent project is IU Sheet Music (http://www.letrs.indiana.edu/s/sheetmusic/) which lists some of the holdings of the Lilly Library's approximately 150,000 pieces of sheet music. The Lilly Library has only begun to tap the possibilities offered by the digital world in bringing its stellar collections to a wider audience. Please explore the Library's site and view the progress so far.